During the past decade, Holland has become one of the world’s largest producer of synthetic drugs. It’s role as being one of the first to regulate marijuana and it’s central location in Europe means that the illegal trade of products like XTC and speed is booming like never before. The illegal trade is measured in billions and police are at a loss fighting against the production of pills which are shipped anywhere in the world from the ports of Rotterdam and Amsterdam, or flown from the airport of Schiphol. On the dark web you can now order your Dutch XTC and have it delivered to your doorstep in 24 hours, readily delivered to anywhere in the world. GroenLinks-Kamerlid @kathalijne pleit voor regulering van xtc. De Bredase burgemeester @PaulDepla noemt dat pleidooi 'interessant'. Dutch leftwing politicians therefore want to consider a new approach which would make their country look less bad in the eyes of the world: why not legalize XTC altogether. The socialists of PVDA and the leftwing GroenLinks therefore propose that the production of xtc would be placed under the control of the government, and thus disappear from the criminal circuit. Paul Depla (PvdA), mayor of Breda, also wants a shift in drug policy. "Why ban ecstasy if alcohol is freely available?" 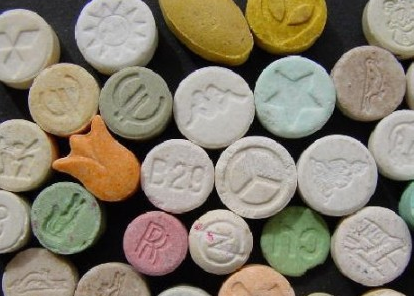 GroenLinks member of parliament Ms Kathalijne Buitenweg (GroenLinks) said "the government does not have to run the ecstasy pill market themselves, the municipalities do not have to put ecstasy on the supermarket shelves, but the government must take control." After alcohol and cannabis, Xtc is the most used drug in nightlife. “On the other hand, we advocate that a discouragement policy be set up at the same time: an active education about the risks of XTC and a ban on advertising. Several leftwing mayors have also stated they would agree to such proposed legislation. Mayor Paul Depla of the city of Breda (of the socialist PVDA) also wants a shift in the government’s overall drug policy. "Tough towards the criminals, gentle towards the users," he says. "Give me one argument why alcohol is freely available and xtc must be banned? I am talking to experts and they all tell me: xtc is less harmful than alcohol. " GroenLinks believes that the Netherlands should take the initiative to put forward a UN evaluation on narcotics and drugs. Well, something must be done to counter the growing power of criminals but the question is if this will help. Legalising weed didn't do diddly squat. Legalizing addictive drugs is a deathwish. It is a great way for the government to commit genocide and get away with it. What should be done is the government and law enforcement should do their job and enforce the law instead of giving up.